A topic which is close to our hearts, here at Weight Loss Solutions Sunshine Coast is heart disease. It is the number one killer in Australia, and it impacts obese people in even greater ratios. Every year, the Heart Foundation’s Heart Week brings awareness to heart-related issues, and what we can do to prevent them. 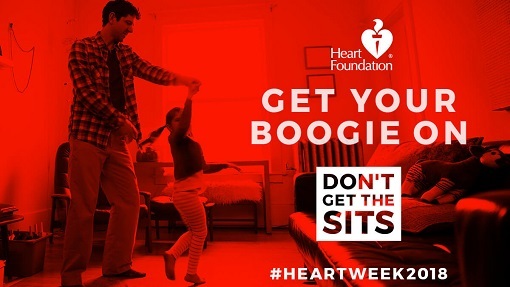 This year the national campaign (29 April – 5 May) is around the importance of physical activity for preventing heart disease. So want to know how to improve your heart health, and what is the optimal level of physical activity? We explain this and examine some of the ways you can achieve that level every day for great heart health. “Unstable plaque has more fat, a thin cap and is inflamed. It may not severely narrow the artery, but it can develop a crack on the surface, exposing the contents of the plaque to the blood. Blood cells try to seal the gap in the surface with a blood clot. The blood clot partially or completely blocks the artery. Why are obese people at greater risk? Many obese people fall into more than one risk factor category. The more your body mass index increases over the healthy range, the more likely you are to be experiencing co-morbid diseases such as type 2 diabetes, high blood pressure, high cholesterol, poor diet, inactivity and sometimes depression. This greatly increases your chances of developing heart disease and experiencing a heart attack. How to improve heart health. While you can’t reverse heart disease it can be prevented, so understanding risk factors and acting on reducing them early in life is a great advantage. Regardless of your age, it is important to have your heart checked regularly by your doctor, to ensure your heart health over time. Your doctor can explain your risk factors, and help you take action to reduce them. Your doctor may suggest lifestyle changes, or you may need to take a plan of action to reduce cholesterol. If you are obese or even if you have recently gained weight, bringing this up with your doctor is always a good idea. They can measure your body mass index (BMI) and let you know if you are in a healthy range for your height, age and weight. You can also check your BMI here. 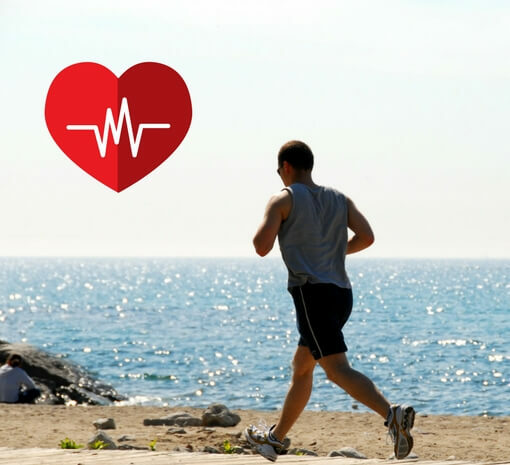 Exercise and physical activity are crucial to heart health. National Spokesperson for the Heart Foundation, Professor Trevor Shilton says that exercise is a “wonder drug” for preventing illness and chronic diseases. But it doesn’t always have to be intense workouts to be beneficial for your heart. Professor Shilton told 3AW this week that 30 minutes of physical activity per day reduces your risk of heart disease by about 35 percent. “People think you need to run a half-marathon or bust your boiler at the gym. While that is good if you enjoy it, for most of us it’s actually about getting off the couch and onto the footpath and brisk walking around your neighbourhood is what your heart needs for your health…. Walking, running, jumping rope, dancing or swimming in the ocean may interest you…and they are all free. Maybe you could get off the bus a stop early and walk the rest of the way, run in the park with your kids rather than watching them play, turn up the music and boogie to your housework, take the stairs or walk the escalator. Grab your friends and get them moving too. Being active with friends is a great way to enjoy movement and keep yourself motivated. But what if you’re already obese and haven’t been able to lose weight or are at the point where you are unable to increase physical activity, or it’s not reducing your weight? If you are obese you may be struggling in vain to lose weight and excess weight may be severely impacting your health. In some cases, weight loss surgery may be an option. In more and more cases in Australia, bariatric surgery is not about “getting skinny” but is a life-saving procedure. Surgical weight loss is about reducing weight and encouraging metabolic changes which increase longevity, activity, and introduce a healthier relationship with food, as well as reduce your risk of co-morbid diseases such as heart disease, type-2 diabetes, high blood pressure and cancer. Weight loss is often a lifetime struggle, and one which if not resolved will shorten that life. Removing the stigma in the community that bariatric surgery is about vanity, or is a ‘lazy weight loss option’ will help to encourage those at risk to seek the help they need. Wonder if you qualify for weight loss surgery? Find out more about the criteria, and whether it’s right for you. ← Can Sleep Apnea Be Cured With Weight Loss Surgery?